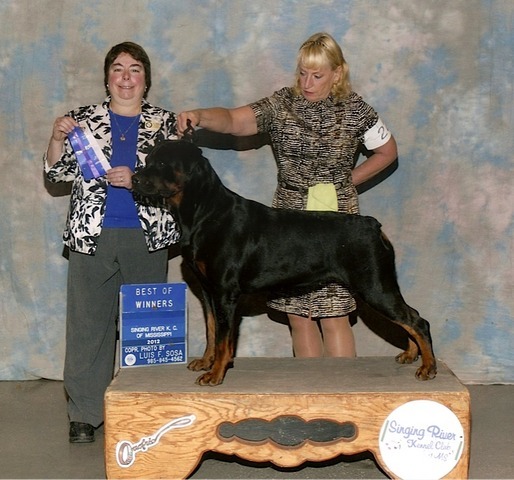 Shown above: finished her AKC Championship going Best of Winners at the American Rottweiler Club Region III Show, Jan 18th, 2013! Shown below: going Best of Winners at Singing River Kennel Club at 12 months old! 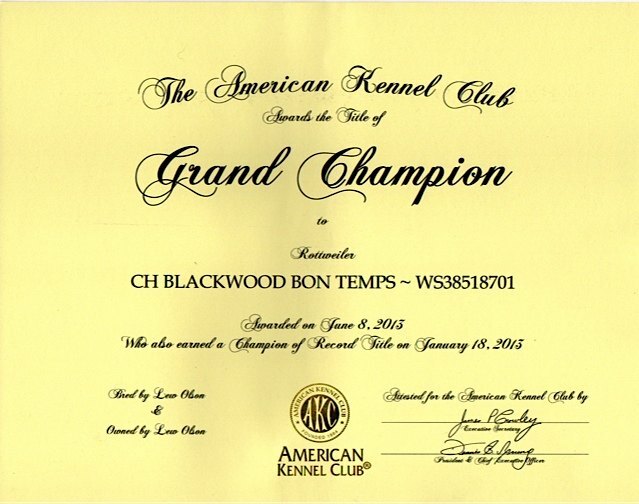 "Bebe" currently has 8 AKC points and will be working on her tracking title! Bebe finished in the 12-18 class and received her Grand Championship before she was 2 years old! 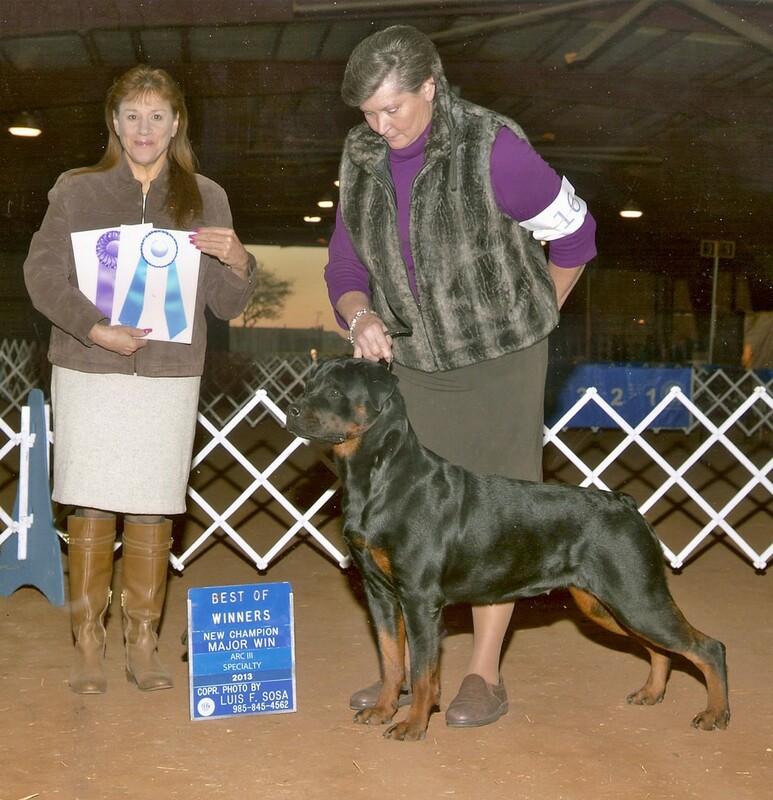 "Bebe" is clear on hips, elbows, eyes and heart.